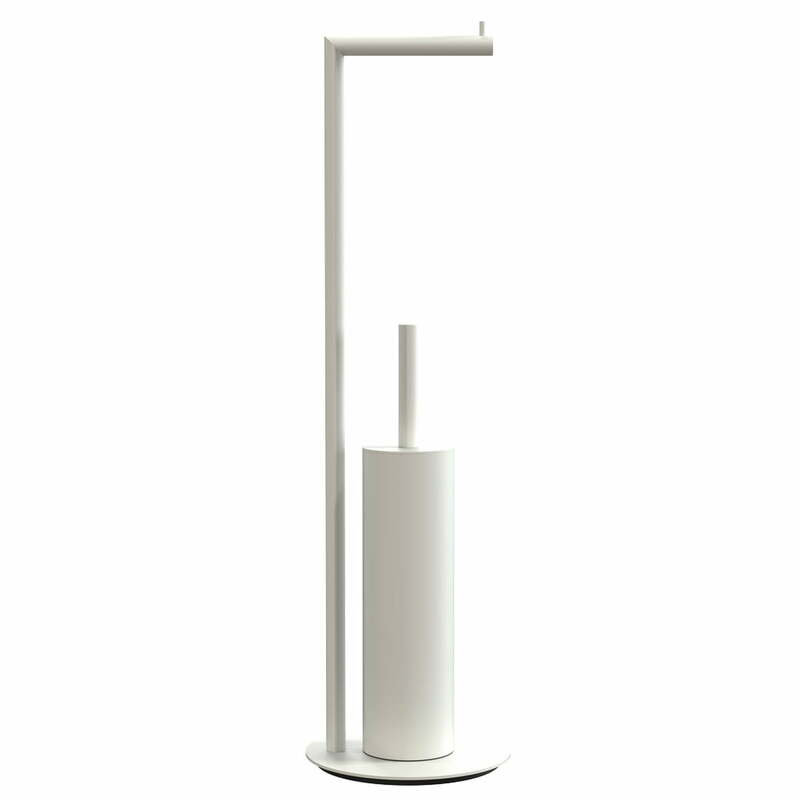 The Nova 2 toilet paper holder with toilet brush from Bønnelycke for Frost combines two essential bathroom accessories in style and is characterised by a simple but elegant design. As part of the Nova 2 series designed by Bønnelycke, the bathroom accessory has a clear design language with defined edges that fits harmoniously into any bathroom. The mobile combination can be placed next to the toilet. This also avoids drilling holes in the wall tiles. Made of stainless steel, the toilet paper holder with toilet brush is particularly robust and rust-free, making it ideal for use in the bathroom. 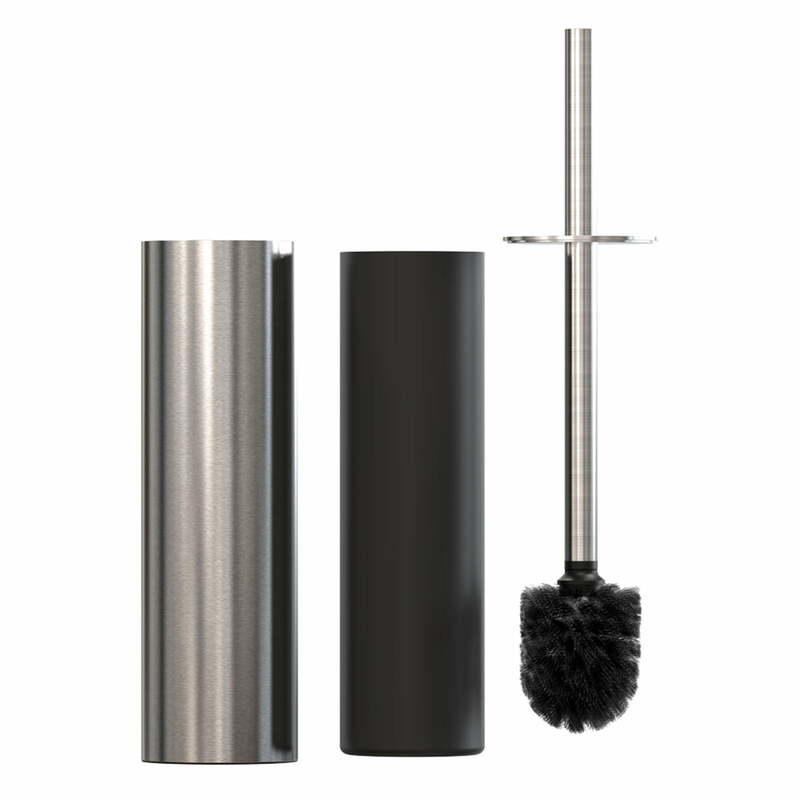 The toilet brush consists of the actual cleaning head, the stainless steel container and a plastic container inside, which reliably absorbs liquids. It is available in different finishes as well as in plain stainless steel versions, so that it can be combined wonderfully with other accessories from the Nova 2 series. 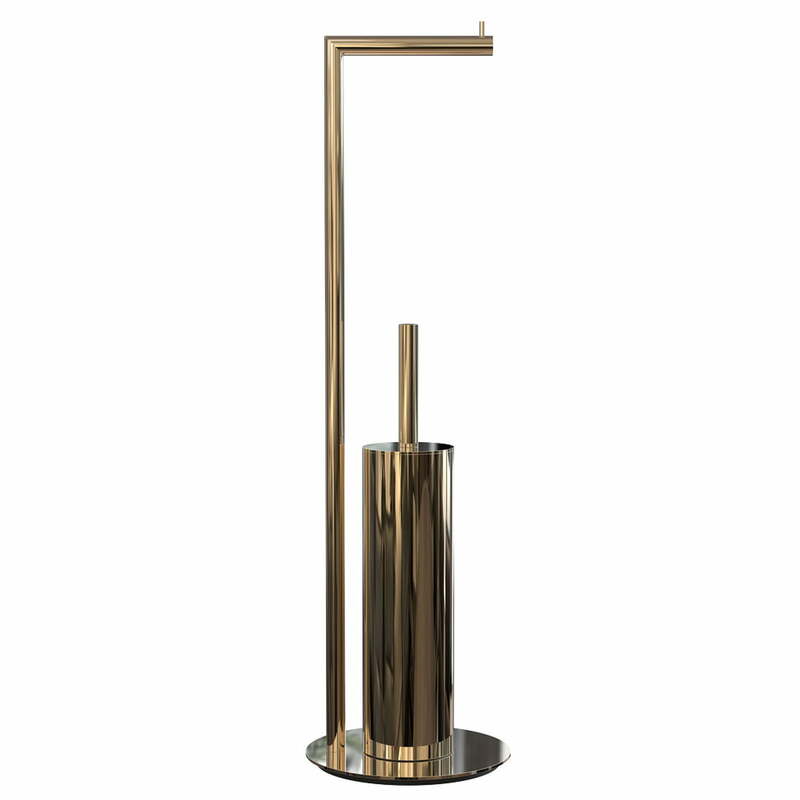 The Nova 2 toilet paper holder with toilet brush is characterised by its clear and elegant design, which blends in perfectly with any bathroom ambience. 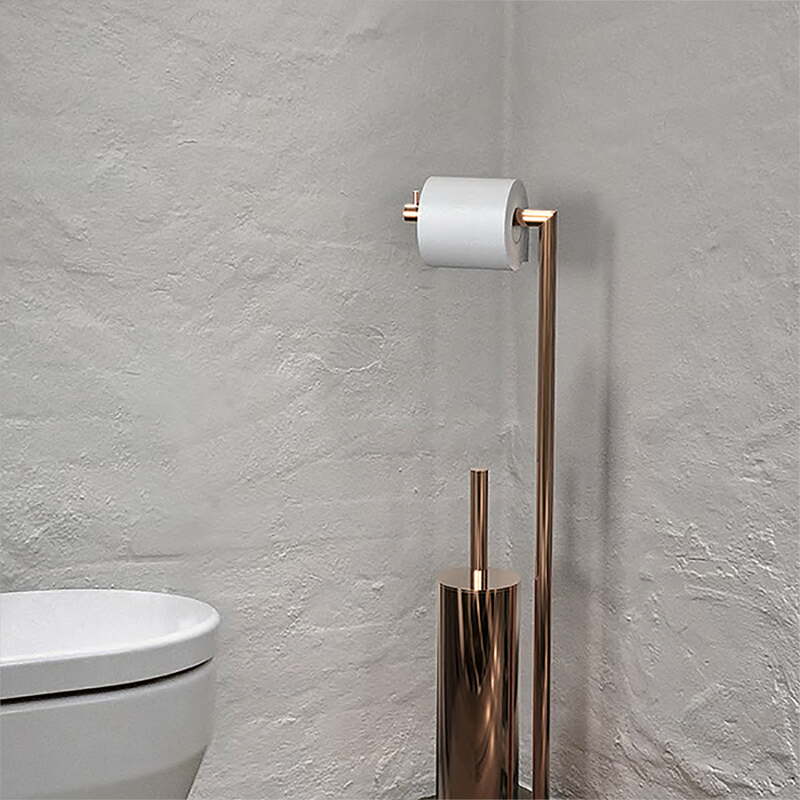 The Nova 2 toilet paper holder with toilet brush from Bønnelycke for Frost combines two essential bathroom accessories in style and is characterised by a simple but elegant design.